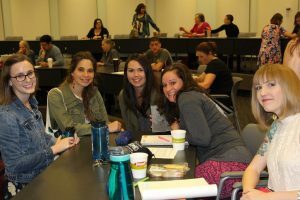 Our community is comprised of more than 200 active Heart of Texas Writing Project Teacher Consultants who teach in K-12 and higher education settings in the Austin area. Teachers become a part of our community through their participation in our annual, month-long Invitational Summer Institute at UT. Our Teacher Consultants maintain active involvement through leading and participating in writing groups, book studies, and local, state and national conferences. Many of our Teacher Consultants also provide professional development for Austin area schools. 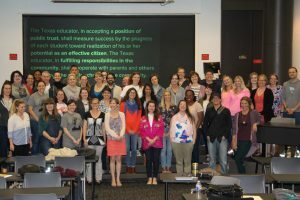 We invite experienced teachers of writing to apply for our Invitational Summer Institute and become a part of our network of dedicated, professional educators. We also invite any Austin area educators and administrators to attend our Saturday workshops and to get in touch with Deb Kelt to find out more about our HTWP community. Join us and engage in on-going professional development in high-quality, research-based pedagogy of reading and writing instruction.